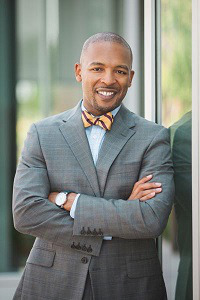 The University of Nebraska-Lincoln (UNL) has named Dr. Marco Barker its inaugural vice chancellor for diversity and inclusion, effective April 1, 2019. Additionally, he will also serve as an associate professor of practice in education administration at the institution. Barker comes to UNL with more than a decade of diversity leadership experience, working at institutions such as Louisiana State University, University of North Carolina at Chapel Hill. He is currently associate vice president for diversity, equity and inclusion at Westminster College. During his time at Westminster, Barker created a diversity infrastructure for one of Utah’s most diverse higher education institutions. Barker received a bachelor’s in industrial engineering from the University of Arkansas, a MBA from Webster University and a Ph.D. in educational leadership from Louisiana State University.